The Intensive NLP Master Practitioner Certification Training is where you will master your NLP skills in a whole new way. It’s designed to give you a more powerful learning experience and every NLP technique you learn’t previously becomes more powerful and more effective. 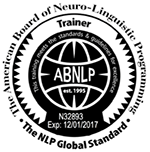 Our aim by offering the 14 day NLP Master Practitioner course is to offer people a highly valuable and quality experience of NLP at this more advanced level. Our Masters course has been developed based on research we did into how others run their Master Practitioner Programmes (in the UK and abroad) – we took the excellence we saw and put it together with our own experience of what works and so created something we believe is truly transformational. We are the only training providers in Wales offering this programme and it leads on from the earlier courses that we run (in order to attend you’ll need to already be an NLP Practitioner, Hypnosis Practitioner, NLP Coach and Time Line Therapy™ Practitioner with us or another ABNLP accredited Trainer known by us personally). Why Choose our NLP Master Practioner Course? During the programme, you will become a master of Quantum Linguistics. This is using language specifically – you learn all about using language that is plausible but not logical to bring out change in others – the effect of using language patterns like these are amazing! We spend half a day learning about and working with Meta Programmes – those unconscious filters that are powerful determinants of personality. Values are what motivate us, and you spend 2 days learning about how Values are formed, how to elicit them, hierarchy them and change them. This is a hugely beneficial section of Masters because values are essentially running your focus, motivation and help you achieve your desired outcomes. If you’ve been blown you off course in the past this will most likely have been as a result of you values (so let’s not leave it to chance any more eh?!). We also learn about how we can use Parts Integration in a new way with Values. Values Inventory/Values level thinking – this is about the values levels that people typically think at, and using this tool we can understand what level we think at, decide if we want to change this, and can get rid of conflicts we might have between the levels. This is a really exciting section of the course. You will learn about NLP Modelling, undertake a modelling project (since modelling is an essential skill of NLP) – some people ask why we leave modelling until the masters programme, and the simple answer is that to do modelling really well you need all the other skills and ways of thinking. We will also be getting you to model how to do a board break – this is a life defining moment for many delegates! Learn advanced Time Line Therapy Techniques including the powerful drop down through technique, and we’ll explore the relationships between the Values Inventory and Time Line Therapy. You will learn how to do a Personal Breakthrough session– not only will you experience it as a Master Practitioner, you will also experience it as a client – spending time on course doing it both ways. This is a truly transformational session. Breakthroughs are where you sit with a client for a day and take a detailed personal history, use your advanced language skills to loosen up the problem that the client is experiencing and then use whatever interventions that you need to help the client let go of all their issues (Time Line Therapy is a key tool we use here). You then work with their Values and align them to their goal, so when they leave the breakthrough they have let go of their issues, are totally focused and aligned to their future. This is a truly amazing experience for ANYONE! You must have trained as an NLP Practitioner, Time Line Therapy Practitioner, Hypnosis Practitioner and NLP Coach with Unleash Your Potential Ltd or have trained with an approved ABNLP training centre with a trainer known to Unleash Your Potential Ltd.
Why book our NLP Master Practitioner Course? There are many reasons why people choose our NLP courses. Some choose us for our high standards, quality of our trainers and courses – ‘you explain everything clearly and it’s easy for me to get it’. Many people join us because of the way we are able to provide both personal and professional development on our courses. Some book with us because they have been referred to us by a previous delegate, or they’ve heard of the support we provide delegates from the moment they book. 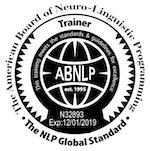 Others book because we’re accredited by the ABNLP (American Board of NLP) the largest NLP body worldwide and the board with the highest standards – which we exceed in terms of content, syllabus and teaching standards. At Unleash Your Potential, we teach NLP in a way that means you can put things into practice straight away. We are currently the only training provider in Wales offering the Weight Change Paradigm Coaching as part of their Master Practitioner Programme and we don’t believe it cutting corners. On this course we spend quality time on topics which means our course includes 11.5 hours or videos as your pre-course study and 14 days of classroom training. Investing in yourself with us, means you’re investing in quality. What will I learn on the NLP Master Practitioner course? During the programme, you will become a master of Quantum Linguistics. This is using language specifically – you learn all about using language that is plausible but not logical – the effect of using language patterns like these are amazing! Values are what motivate us, and you spend 2 days learning about Values how they are formed, how to elicit them, hierarchy them and change values. This is a hugely beneficial section of Masters because they are what are essentially running your focus, motivation, they are what has most likely blown you off course in the past when you’ve gone for a goal, or indeed helped you achieve your desired outcomes (but let’s no leave it to chance any more eh?!). We also learn about how we can use Parts Integration is a new way with Values. You will learn how to do a Personal Breakthrough session – not only will you experience it as a Master Practitioner, you will also experience it as a client – spending time on course doing it both ways. This is a truly transformational session. Breakthroughs are where you sit with a client for a day and take a detailed personal history, use your advanced language skills to loosen up the problem that the client is experiencing and then use whatever interventions that you need to help the client let go of all their issues (Time Line Therapy is a key tool we use here). You then work with their Values and align them to their goal, so when they leave the breakthrough they have get go off their issues, are totally focused and aligned to their future. This is a truly amazing experience for ANYONE! When you study at Masters level the skills you learn will also take all the other techniques you have learnt to a whole new level – they become much more powerful and so much more effective. Absolutely. At Unleash Your Potential Ltd we believe in offering our customers increased value when booking additional courses. If you book more than one course at the same time you’ll save money. The more you book the more you save!! Contact us for details. 14 days of live training at Masters level (split into 2 weeks of 7 days roughly 6 weeks apart). Refreshments throughout the course (you can purchase your lunch at the venue, bring your own or purchase something from the alternatives nearby). If the above does not apply to you, please call us and let’s chat about how we can get you up to speed so that you can attend our Masters Programme (for example we may decide that it’s useful for you to attend one of our other courses to ensure you don’t have any knowledge gaps and are at the same level as everyone else on this Masters course). As soon as you invest we will arrange for your pre-course study to be dispatched to you and will give you advice on how best to go about completing it, so that you get maximum value from the live training. We are here to help support you successfully qualify as an NLP Master Practitioner – you’ll find us approachable, helpful and friendly all the way through your experience with us – we can’t wait to see and hear how you use what you’ve learned to improve your results!